This past weekend, my husband and I sat down — along with a really good bottle of wine and some Tom Petty — to share our individual core desired feelings and to create our family’s core desired feelings. First time hearing of core desired feelings (or CDFs, as we like to say)? Oh, you’re in for a treat. This feel-good, find-your-truth, goal-setting strategy of focusing on how you want to feel versus what thing you want to have/achieve is the glorious and genius brainchild of Danielle LaPorte. And it’s freakin’ life changing. We recently got to have an HOUR-LONG conversation with Danielle on our podcast (which we split up into two eps because they were so damn juicy — get them here and here — and she broke the concept down beautifully. Because, at the end of the day, it’s not about the new job or the new relationship or the new car or the award — it’s about how those things make you feel. So instead of chasing goals around what *might* give you that (likely fleeting) feeling, why not reverse-engineer things and figure out how you want to feel — and then do what you can to feel that way, starting today? The process of finding your CDFs is pretty fun, too. It’s like going on a deep dive into who you are and then dreaming big about how you want to wake up every day. It takes being brave and honest with yourself and — I think — it’s even more powerful when you do it with a trusted friend or partner. (And it can seriously improve your relationship because you almost always learn a new way to help the other person or show them love in a way that deeply resonates.) Danielle details all of this in her book, The Desire Map (disclosure: we love it so much we’re an affiliate! ), but once you have your CDFs set, then it’s pretty much up to you to continue to stay connected to them and work towards them. And, this, my friends, is where the rubber hits the road. Or, where the action needs to happen … but doesn’t. Because life happens. And a week after being SO inspired by your CDFs, you kinda slip back into your usual day-to-day life. That’s been the case for me many a time. Which is exactly why I’m obsessed with Danielle’s The Desire Map Planner (again, love it so much we’re an affiliate!). In addition to being a beautifully designed book and a tool to help keep you organized, it helps you to stay aligned with your CDFs by keeping them top of mind, all day, every day. 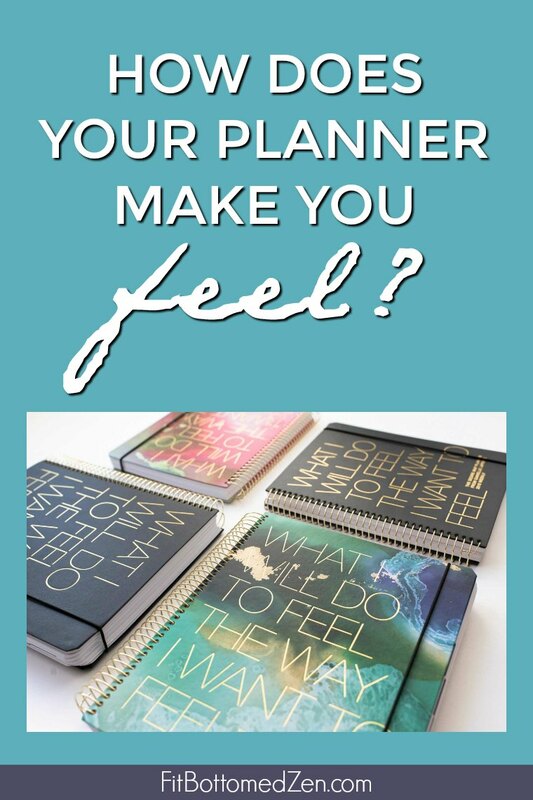 There’s a daily and a weekly version — so you can be as narrow- or as wide-focused as you’d like — and in addition to beautiful little truthbombs sprinkled on each page, you’re asked to plan your day around how you want to feel. Your to-do list and schedule is on there, yes, but it’s surrounded by other areas that have you pinpointing what’s truly important to you, what you’re grateful for, what you want to change and maybe my favorite of all: the stop doing list (as she says: “No makes the way for yes,” which is so true). Each month you also have an area to “check-in” and reconnect with your CDFs, intentions and goals. I know there are a lot of awesome planners out there, but this one is so heart-centered. It’s about getting stuff done, sure, but it’s more about being productive and honoring yourself. It’s about getting what you really want out of life — and making the space for it. It’s not about cramming a bunch of stuff into your day. It’s a tool for designing your best life, day after day. And it feels great.